Epsom salt is very useful for fertilizing and feeding your tomato plants. Last year I discovered using Epsom salt can help with magnesium deficiencies in soil and also helps with yellow leaves on tomato plants. Epsom salt contains magnesium sulfate and several other important nutrients that encourage leaf and root development. 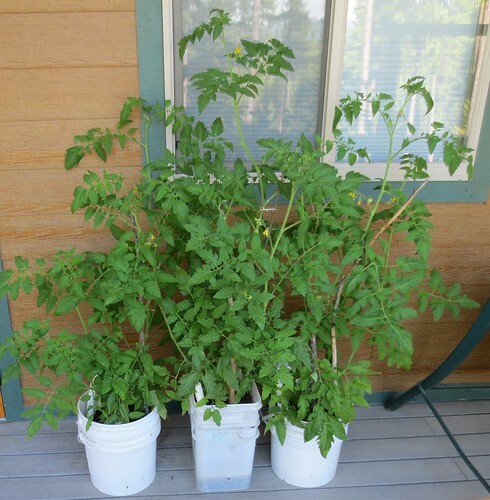 Using Epsom salts to grow tomato plants appears to be an excellent alternative to naturally fertilize the plants. Another wonderful thing about Epsom salt is that it’s readily available and cheap to buy. To use dry, mix about a teaspoon of Epsom salt in the dirt around a new tomato seedling or growing plant. Once the plant gets bigger, you can use more salt. For example, use 1 tbsp. for each foot of plant height. For watering application, use 1 tablespoon of Epsom salt in a gallon of water. Mix well and water plant weekly with the mixture. The results I obtained were healthier, greener and better producing plants. Bottom line — Using Epsom salt is frugal and provides a more natural way to fertilize your tomato plants with great results.